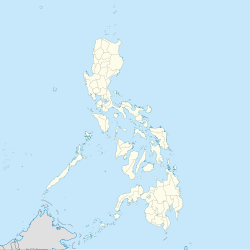 Capul, officially the Municipality of Capul, is a 5th class municipality in the province of Northern Samar, Philippines. According to the 2015 census, it has a population of 12,679 people. Prior to its founding as a town, it used to be called as Abak with a lighthouse built on the island, served as a guidepost for the Acapulco-Manila galleon trade vessels passing through the treacherous waters of San Bernardino Strait. It also served as the capital of Samar from 1848 to 1852. The name Capul came from the word Acapulco, an old trading post in Mexico. Capul is the only town in the province of Northern Samar with a distinct language, Inabaknon, instead of Waray-Waray, the native language spoken by the locals of Samar island. The Inakbanon is a unique language, having no related language in the entire Visayas and Luzon regions. Due to few speakers, the language is highly endangered. The Inabaknon language is vital to the culture and arts of the Inabaknon people's island life. Some locals have been challenging the Spanish colonial name of the island-town, Capul, and revoking it in favor of its indigenous name, Abak, which was used by their ancestors, and is also the namesake of townsfolk's indigenous language, Inabaknon. Capul is politically subdivided into 12 barangays. Capul has a different language from the rest of Northern Samar and the rest of Eastern Visayas. The native language in the island-municipality is Inabaknon. Inabaknon has been classified by linguists as a Sama language related to the Sama languages of Mindanao, rather than a Visayan language. Nonetheless the Capul people understand the Waray language, as spoken by the majority of the people in Northern Samar. The Capul Church, the main church-fortification of Capul island and the capital of the central trading route of the historic Manila-Acapulco galleon trade route. The property, along with the entire municipality, is being pushed to become a UNESCO World Heritage Site. The Capul Church, built during the Spanish Colonial Period, is dedicated to St. Ignatius of Loyola and is surrounded by a square fort with bulwarks of dissimilar designs. The church structure was actually the third that was built on the site. The first two structures, made of hard wood and nipa roofs, were razed when Moro pirates plundered the island in 1615 and 1768. In 1781, Fr. Mariano Valero, a Spanish architect-priest led the restoration of the church and built the stonewall fortress similar to that in Intramuros, Manila that would fortify it against Moro attacks. Located on a hill near the Capul fort overlooking the town harbor, a stone watchtower was erected to serve as a sentry or warning system and a refuge for indigents during Moro raids. Bitō Cave, also known as Beto Cave, is a popular natural attraction located in Sawang. Timon-timon is a rudder-shaped rock formation located near the southern point of the island. ^ "Capul, Northern Samar : Average Temperatures and Rainfall". Meteoblue. Retrieved 6 January 2019. Wikivoyage has a travel guide for Capul, Northern Samar.